Dash Berlin is a Dutch trance music project created in 2007 by Jeffrey Sutorius, Eelke Kalberg, and Sebastiaan Molijn. The front man of the group is the DJ Jeffrey Sutorius a.k.a Dash Berlin, the 10th most popular DJ in the world according to DJ Mag in 2013.Sutorius initially started playing drums influenced by his late father who was a drummer in a jazz band, before discovering electronic music. He worked at BPM Dance and Mid-Town Records specializing in vinyl, with both stores becoming meeting places for many established Dutch DJ's. Molijn and Kalberg, who were deejaying as Pronti & Kalmani at the time, have credited Sutorius as a vital source of inspiration for some of their biggest records during that time. Kalberg and Molijn have been contributing to the international dance scene for over ten years, with award-winning and platinum-selling hits for dance acts such as Alice Deejay, Vengaboys, Candee Jay, Pronti & Kalmani, and Solid Sessions. Their track "Better Off Alone" was one of the first EDM/Trance records that became big inthe United States and was later sampled by French superstar DJ David Guetta and one of America's biggest rappers Wiz Khalifa in his breakthrough record "Say Yeah".They also have been working together with DJ Sander Kleinenberg on classic tracks like "This Is Miami" and "The Fruit" and remixes for major artists such as Justin Timberlake ('Rock Your Body' Remix winning the award for 'Best Remix' at the Dance Star USA Awards), Janet Jackson, BT, Usher, N.E.R.D., Lenny Kravitz, Junkie XL, Röyksopp, Mylo, and Annie Lennox. The breakthrough for Dash Berlin came in early 2007 with "Till the Sky Falls Down". The track went to the top of the Trance charts worldwide, due in part to Armin van Buuren who included it on the third chapter of his acclaimed "Universal Religion" mix album. Van Buuren subsequently signed Dash Berlin to the Armada Music label. Dash Berlin won the IDMA award for the track "Waiting" in the category 'Best High Energy Track' and was nominated three times at the International Dance Music Awards, during the WMC in Miami in 2009. His tracks "Waiting" featuring Australian singer Emma Hewitt and "Man On The Run", a collaboration with fellow Armada artists Cerf, Mitiska & Jaren were both nominated that year in the category 'Best Trance Track'. In Armin van Buuren's popular radio show A State of Trance the "Waiting" single was elected by the audience to the second best Trance track of the year 2009. The music video is shot in Rotterdam and gained over twelve million views on YouTube. In 2010, Dash was nominated for the 'Best European DJ' at the IDMA's and entered the DJ Mag Top 100 poll at number 15. He won the DJ Mag Top 100 Award for 'Highest New Entry', during the Magazine's ceremony at the Ministry Of Sound in London, hosted by Boy George. Beating other famous Dutch DJ's such as Armin van Buuren, Tiesto, Ferry Corsten as the highest Dutch entry till date. On October 20, 2011 DJ Magazine announced the results of their annual Top 100 DJ Poll for the very first time in Amsterdam, with Dash Berlin placed at #8 in the world. In 2012, Dash Berlin receives a nomination for 'Best Trance Track' at the IDMA's for his track with Jonathan Mendelsohn entitled "Better Half Of Me". October 2012: In Mexico Dash Berlin is nominated for a prestigious Lunas Award in the category Electronic Music among other artists such as Armin van Buuren, Paul van Dyk, David Guetta, Sasha, and others. Later that month, Dash was ranked number 7 in the DJ Mag Top 100 poll, making him the second most popular Trance DJ in the world, right after his mentor Armin van Buuren. 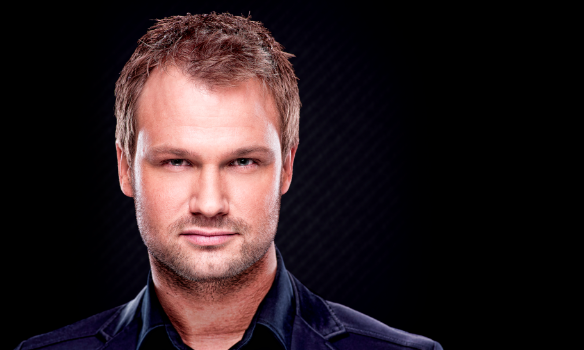 In December 2012, Dash Berlin was nominated for a 'Tunisia Music Award', Africa's biggest award show till date. In February 2013 Dash Berlin headlined the Ultra Music Festival in Chile and the Ultra Music Festival in Buenos Aires together with Avicii, Carl Cox and Armin van Buuren. In 2013, Dash Berlin received a nomination for the 'Best Trance Track' at the IDMA awards for his single 'When You Were Around' featuring British singer Kate Walsh. Dash Berlin was the first DJ to be announced for Armin van Buuren's 'A State Of Trance 600' event in 2013. Dash played at ASOT Den Bosch, ASOT Mexico City, ASOT Minsk, ASOT Sofia, ASOT Beirut, and ASOT Guatemala.